Discussion in 'Android Devices' started by booone0, Dec 27, 2009. 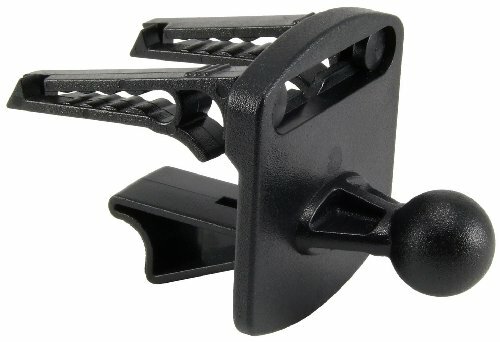 Has anyone used the Amzer car mounts from Fommy.com? I could only find one (very negative) review of them from a product on Amazon. They seem to be very well priced and offer convenient alternatives to the regular verizon car mount. My windshield is narrow and steeply sloped (Stratus coupe) and it would be pretty inconvenient to use the normal suction mount. I am either considering the adhesive mount (which I would probably permanently reinforce with a couple of screws into one of the console compartments) or buying the OEM mount and attaching to the dash via one of those sticky discs for the suction cup. The dock itself doesn't have a magnet to launch the phone into car mod. It's also significantly more difficult to lock the phone into the dock. I can do it one handed with the Motorola dock. And I felt the overall quality and refinement was much lower than the Motorola dock. Seems a universal mount would come in more handy in case I want to mount other things like my PSP or when I upgrade my sell phone this mount will still work. I really like this mount. You just squeeze the rubber pads to hold the phone tight, it won't go anywhere. It easily rotates to landscape or portrait and it has a quick release. Nothing blocks the cords and it's possible to position the phone so the camera is not blocked. You link isn't working, but from what you described, I just got one of this type for christmas. It seems a bit bulky to me, but it does have a lot of flexability with how you can move it around and such. Can't wait to get it in my truck and use it. The OEM windshield mount also comes with an adhesive "disc" to dash mount the suction cup. Personally, I don't want anything (else) mounted to my windshield as I already have a sirius radio there. Don't want anything stuck to my dash either. I am going to use the OEM "dock" and attach the ball mount to one of these Arkon GN047 vent mounts. Don't buy the Amzer car mount for your Droid. I did and I'm sorry I spent the money on it. The phone is hard to insert and remove. There is no magnet to launch the car dock app. You can't extend the slider to get at the keyboard. The headset jack is blocked and can't be accessed. Finally, the flexible arm that connects to the windshield is loose and the phone vibrates a lot when you drive. I tried my friends car mount that he bought from Verizon and it's ALOT better. Thanks for the tips, I'll go with the car dock from VZW. Seidio is coming out with a car mount that will work with their cases.